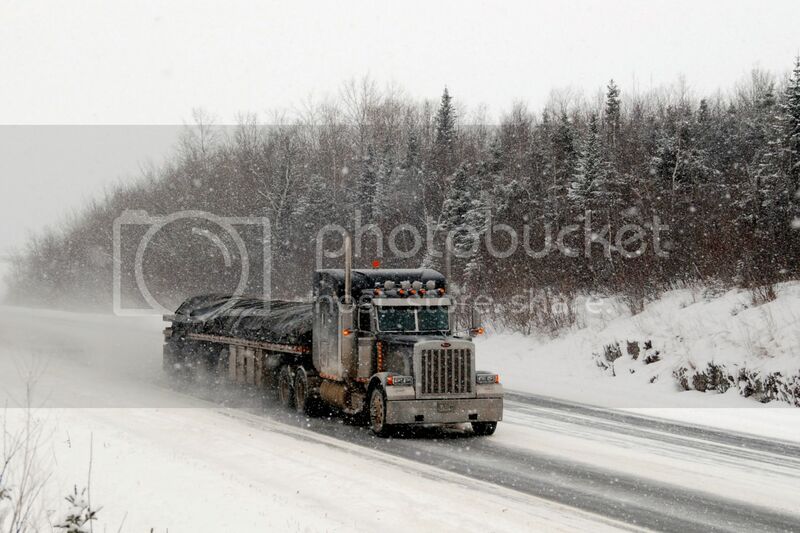 I took this pic in December of 2008 along Highway 132 East of Mont-Joli Qc. It was snowing for quite some time when I catched this Pete coming down the hill at full speed heading East toward the Matapedia Valley. Nikon D-80, zoom Nikkor 18-200 at 56mm, ISO 500 , f/7,1 and speed 1/640. That is a great picture Gerard. Bob. Got my vote as well. Is that one of Laurent Bernard et Fils trucks?